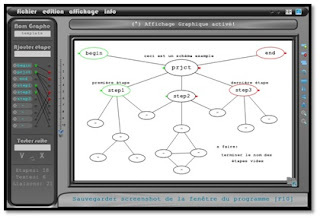 GraphMake is an open-source project planning software, managed by SAID EL IMAM Said. The project began in January 2010. It is coded mainly in C language and is based on SDL graphic library. With its interface design and ease of use, it allows you to create custom patterns, in a fast and efficient way. The program is published in French, for Windows.